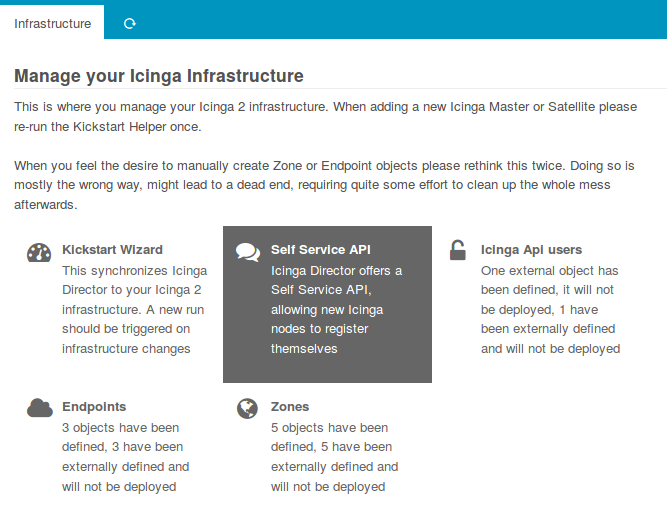 Icinga Director offers a Self Service API, allowing new Hosts running the Icinga Agent to register themselves in a secure way. Windows Agents are the main target audience for this feature. 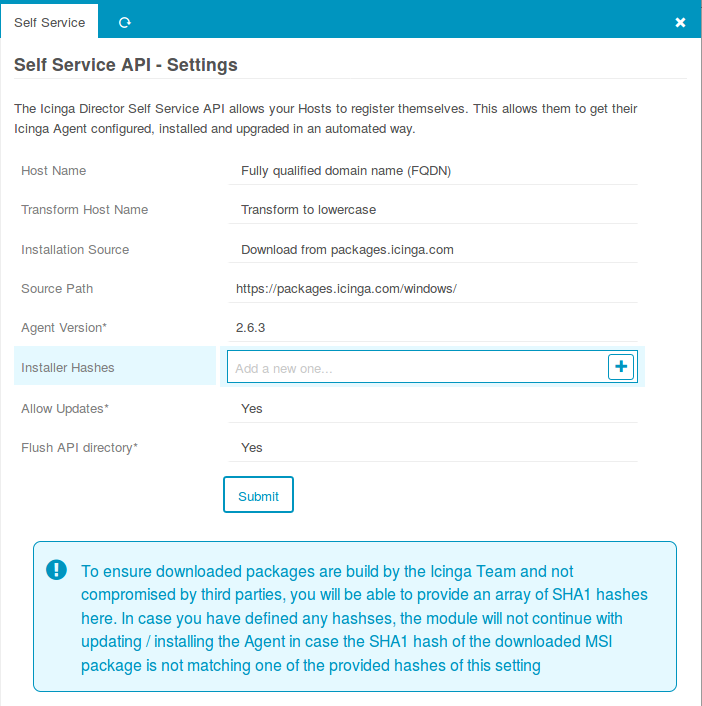 It allows you to generate a single Powershell Script based on the Icinga 2 Powershell Module. You can either use the same script for all of your Windows Hosts or generate different ones for different kind of systems. 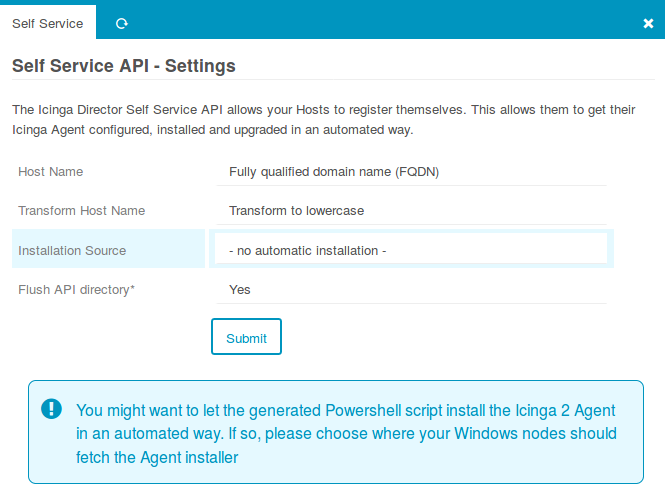 This installation script could then be shipped with your base images, invoked remotely via PowerShell Remoting, distributed as a module via Group Policies and/or triggered via Run-Once (AD Policies). At the time of this writing, we do not ship a script with all the functionality you can find in the Windows Powershell script. Linux and Unix environments are mostly highly automated these days, and such a magic shell script is often not what people want. Still, you can also benefit from this feature by directly using our Self Service REST API. It should be easy to integrate it into the automation tool of your choice.